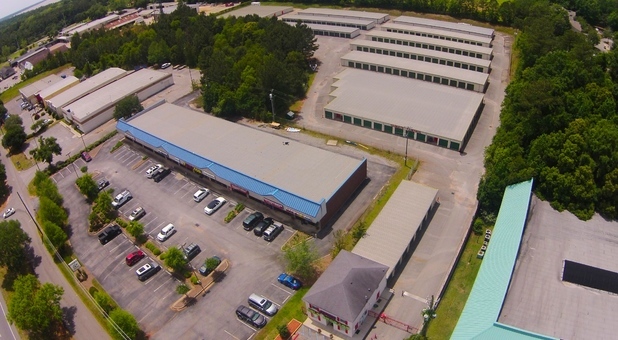 Only 1.5 miles from downtown, Tellus Self Storage - Daphne is as central as it gets. We’re ideally situated for all local customers looking to free up some space. Find us on the west side of Highway 98, across from Precision Tune Auto Care. We’re the white two-story building with the red shutters! 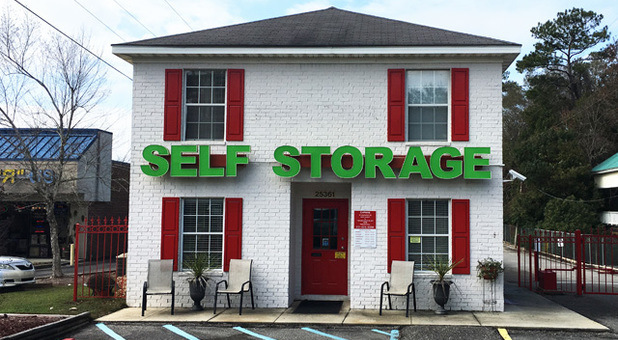 Hands down, there’s no self storage facility in Daphne that offers as many services and amenities as Tellus Self Storage.Clients simply love the convenience of our 24 hour access while our resident manager lives onsite in case you need assistance or have any questions. Meanwhile, our climate controlled units are the perfect choice if you’re storing valuable items. For a few extra dollars a month, they help keep your belongings in spotless condition. Here at Tellus Self Storage - Daphne, we don’t only specialize in self storage units. You can also park your RV, car or boat at our facility. You can either store your vehicle in one of our larger units or take advantage of our economical uncovered parking. As we’re so close to the center of town, we provide all the convenience of a parking lot at a fraction of the price. A few of other our amenities include truck rental, security cameras, online bill payment and drive-up access.